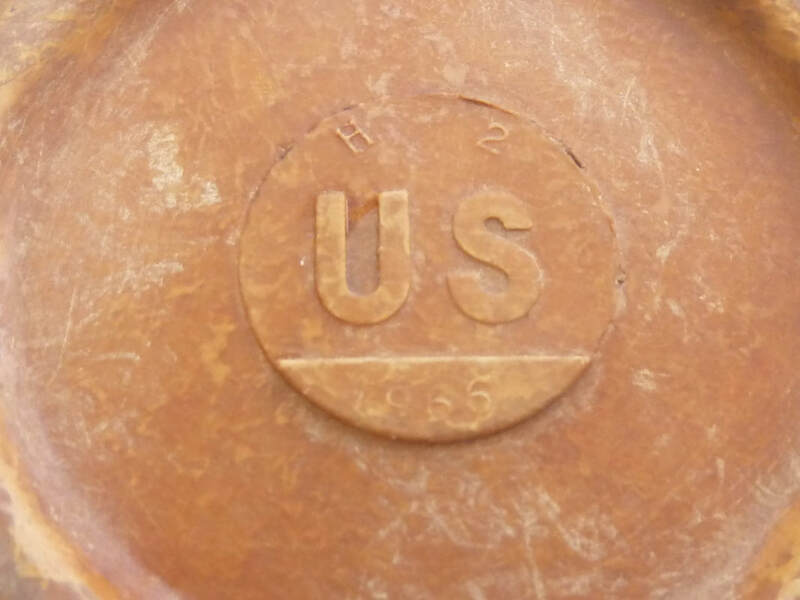 US Vietnam war era compass case. 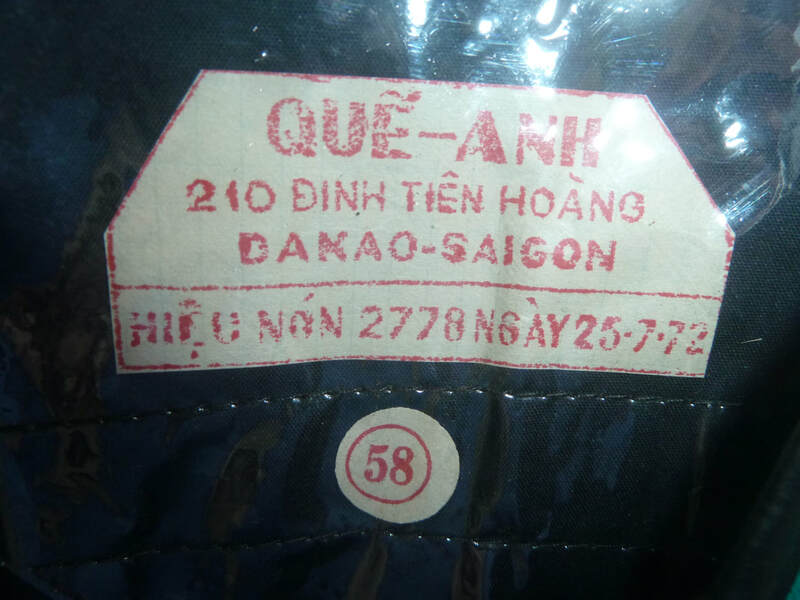 Rare and difficult to find Viet Cong black pyjama type uniform complete with hat. 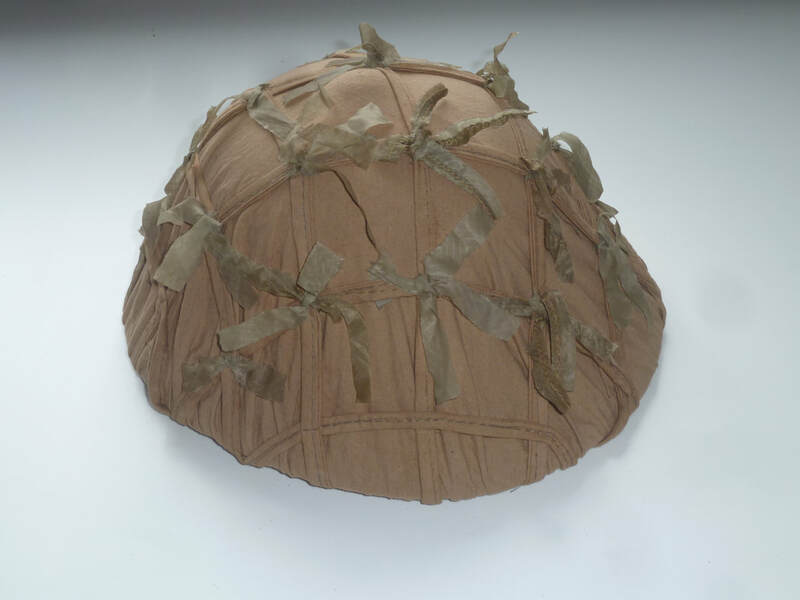 Comes with difficult to find rice carrier which would have been filled with dry rice, ends tied and carried across back or shoulder. 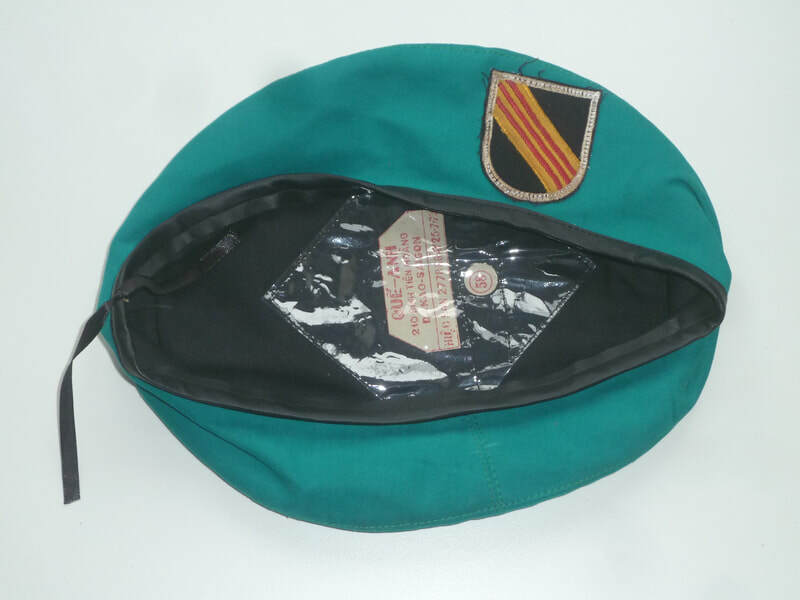 In good original condition apart from some staining from mud. Could probably be washed if required. 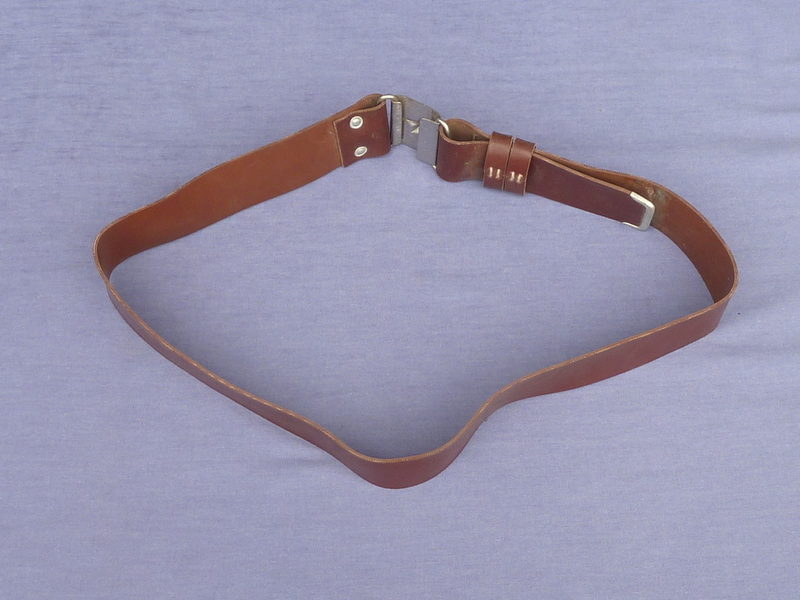 Would fit up to approx 5ft 6" person. 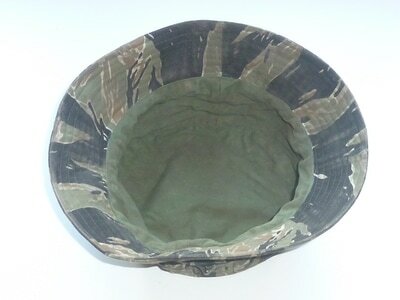 North Vietnam army Vietnam war pith helmet with camouflaged dry season cover. In good original condition, see photo. 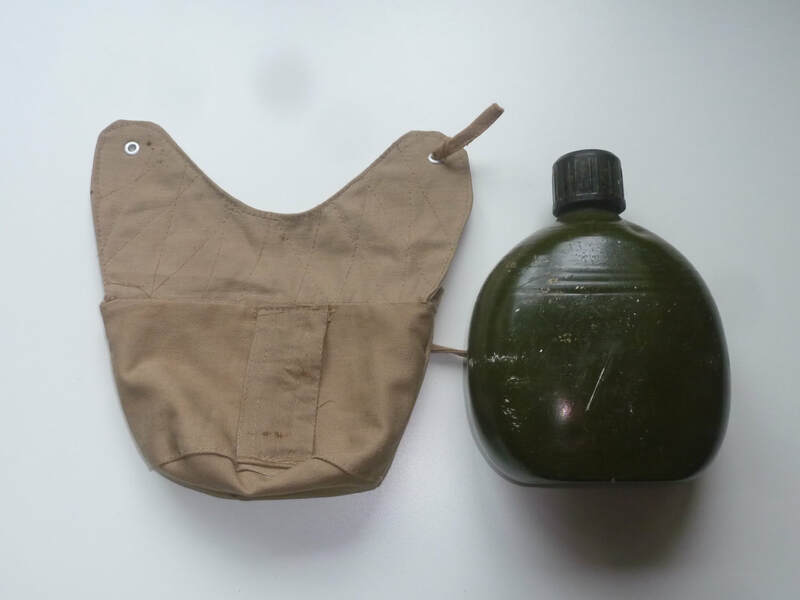 South Vietnam army, Vietnam war era water bottle complete with belt mounted carrier dated 1970. 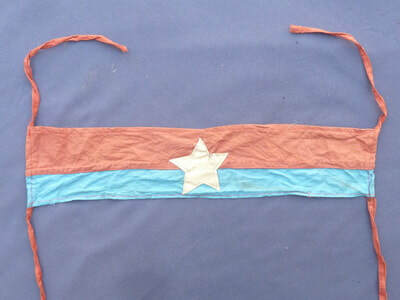 Very rare Viet Cong, Vietnam war era woman fighters scarf in good original condition see photo. 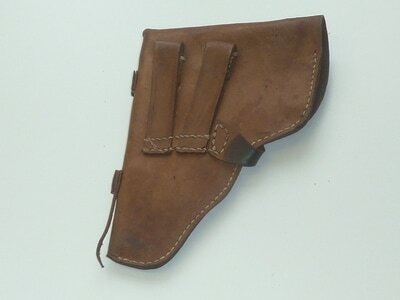 Approx 52cm wide by 128cm long. Viet Cong, Vietnam war era army band. 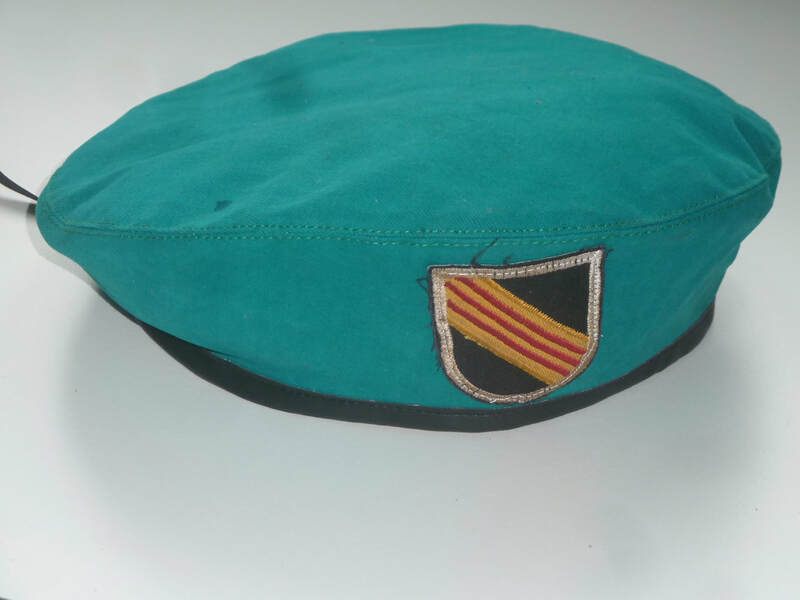 Used to identify soldiers and National Liberation front officials to sympathisers. 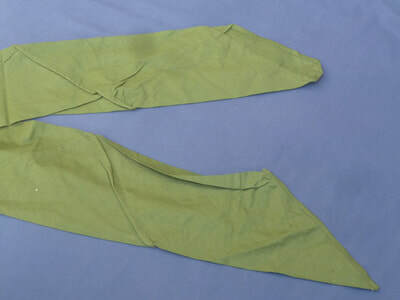 An approx 145cm long cotton tube with tie ups on each end. 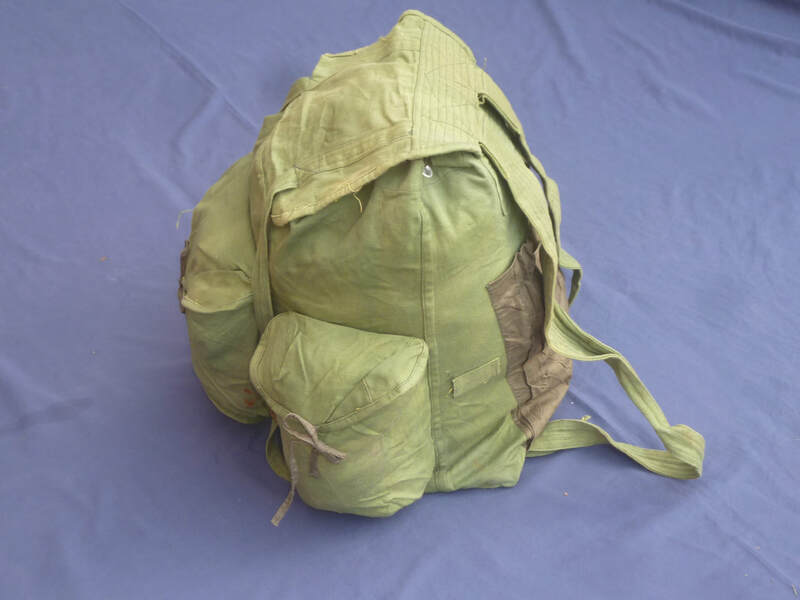 Would have been filled with dry rice and carried by Viect Cong fighters slung across body from shoulder to thip. 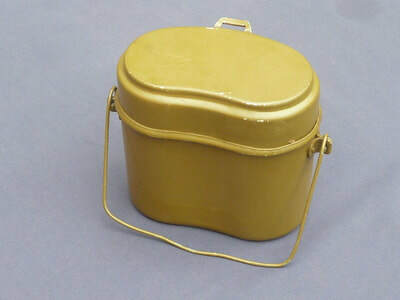 It would hold enough rice to keep one fighter fed for over two weeks. 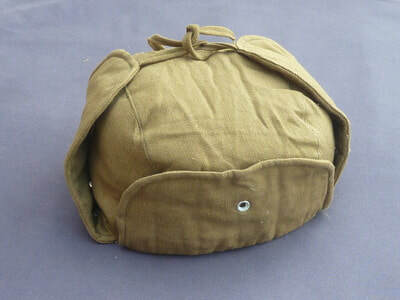 45cm by 45cm heavy well made cotton cover that was for use during the Vietnam war in Army field operating theatres to cover and keep wounds clean during operations. 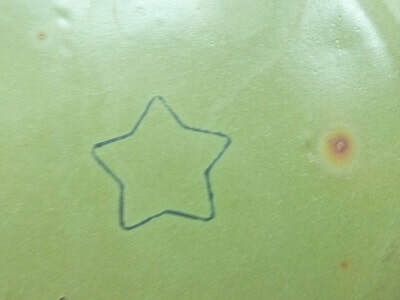 Would have been ironed so it stood up in a pyramid shape to cover the open area. 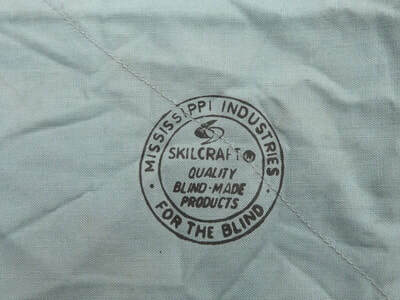 Made in the US by Mississippi Industries, difficult to find Saigon bring back. 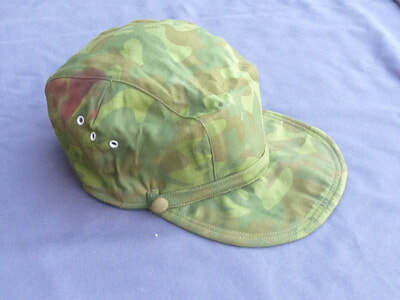 In good original condition, see photos. 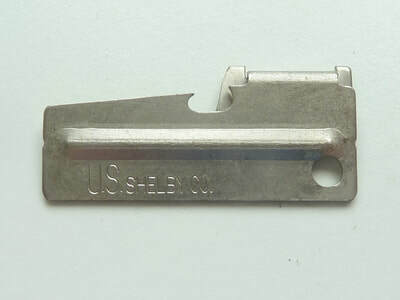 Nicely made folding can opener used by US forces during the Vietnam war to open food rations when in the field. Usually worn on chain around neck with the dog tag. 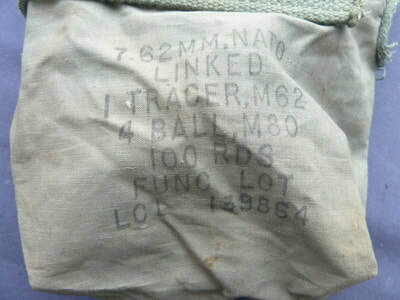 Viet-Cong 2 section ammo pouch in good original condition. Tabs on reverse for attaching to a belt. 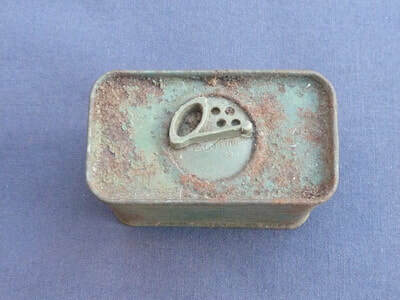 A difficult to find very strong cardboard storage box with metal ends. 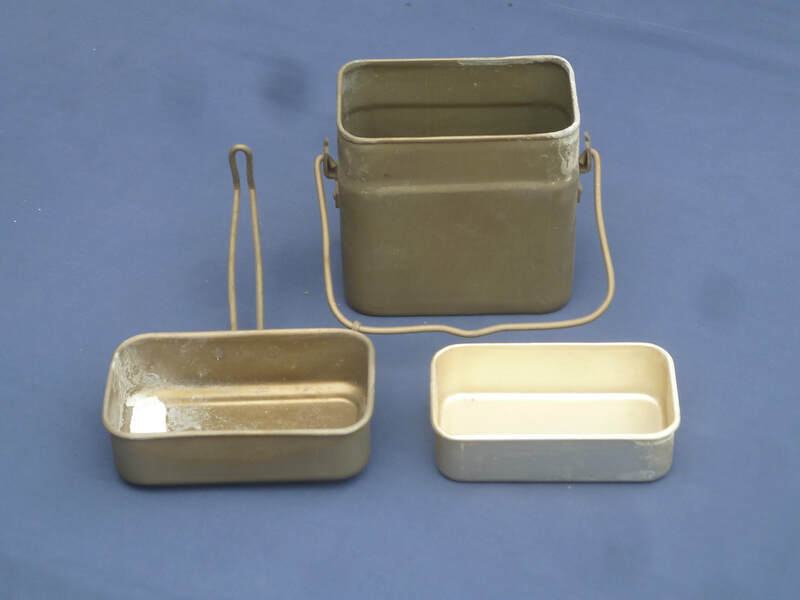 Used to store & transport US hand grenades, useful and interesting storage box. 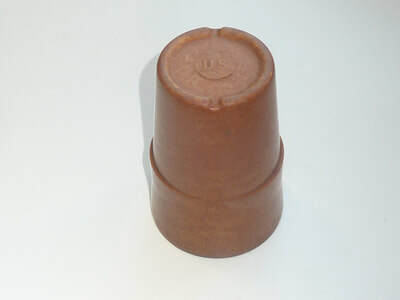 15cm tall, 7cm diameter. 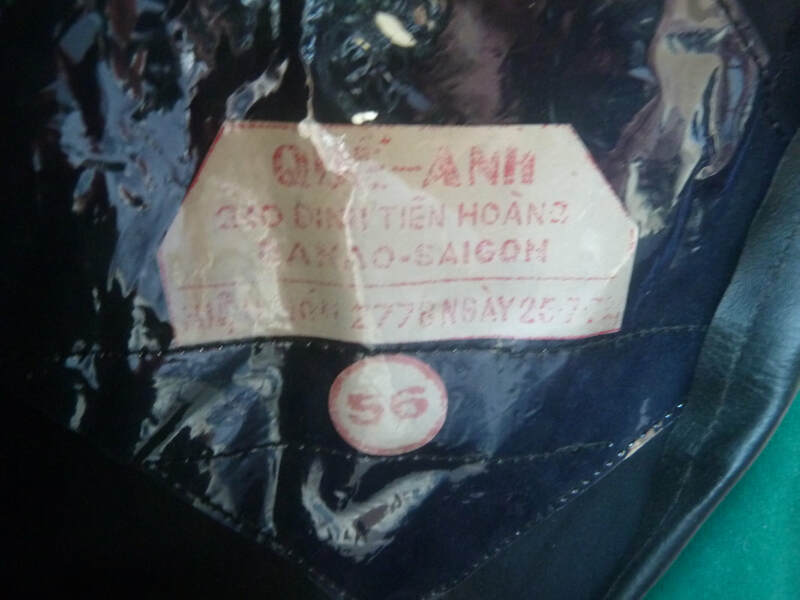 A Saigon, Vietnam bring back in good original condition, see photo. 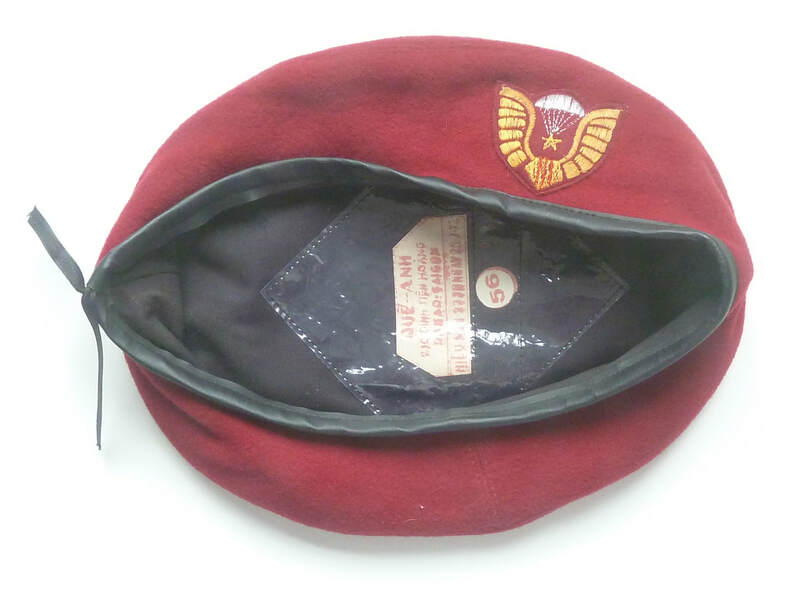 Viet Cong, Vietnam war era night fighter hat . Black instead of the usual green for extra camouflage in the dark. 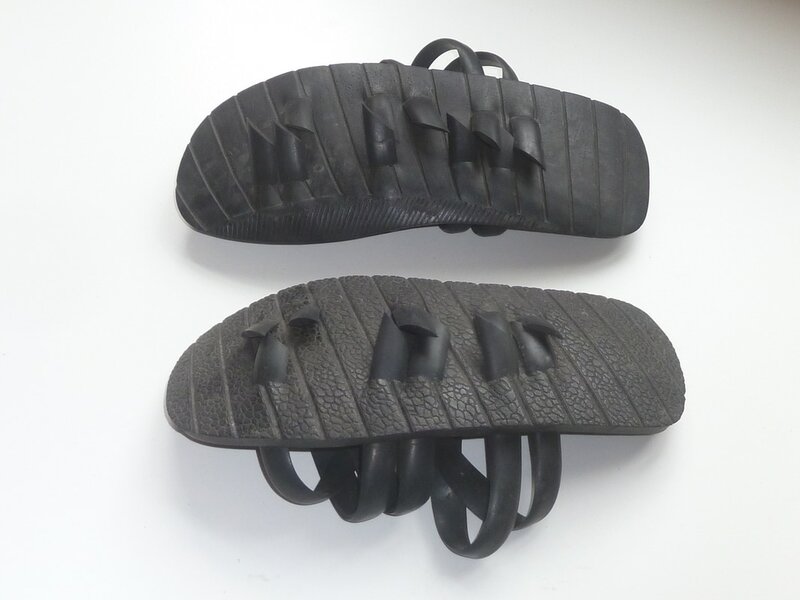 EXTRA LARGE VIET CONG VIETNAM WAR ERA SANDALS MADE FROM CAR TYRES SIZE 46 P.O.W? Viet Cong, Vietnam war era sandals approx. size 46 made from old car tyres by the ever resourceful Vietnamese. Extra large sandals possibly for a US prisoner of war. 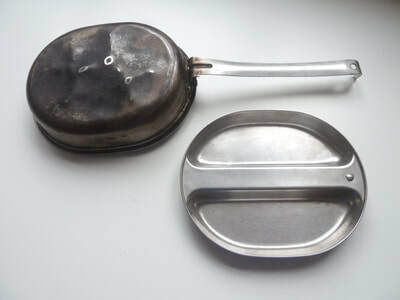 Russian supplied North Vietnam Army, Vietnam war era kidney shaped aluminium mess tin. 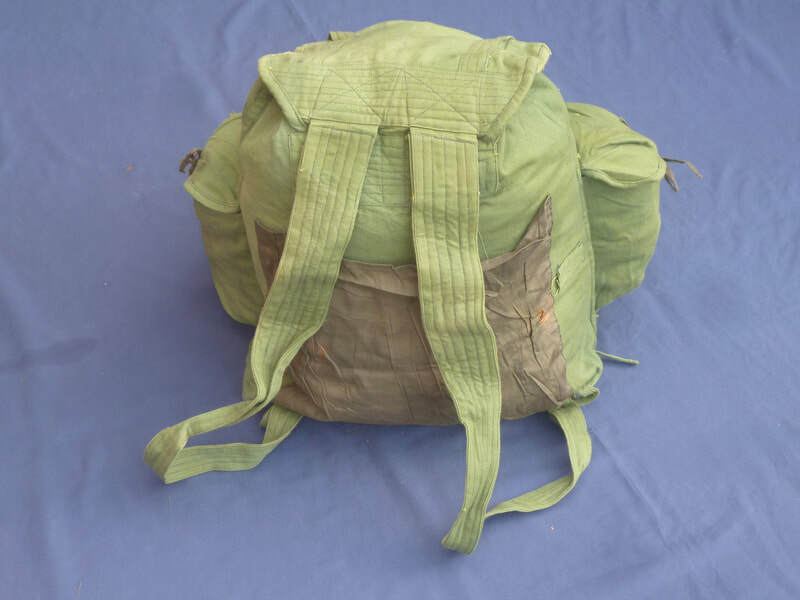 Large well made heavy duty North Vietnam army green coloured rucksack. 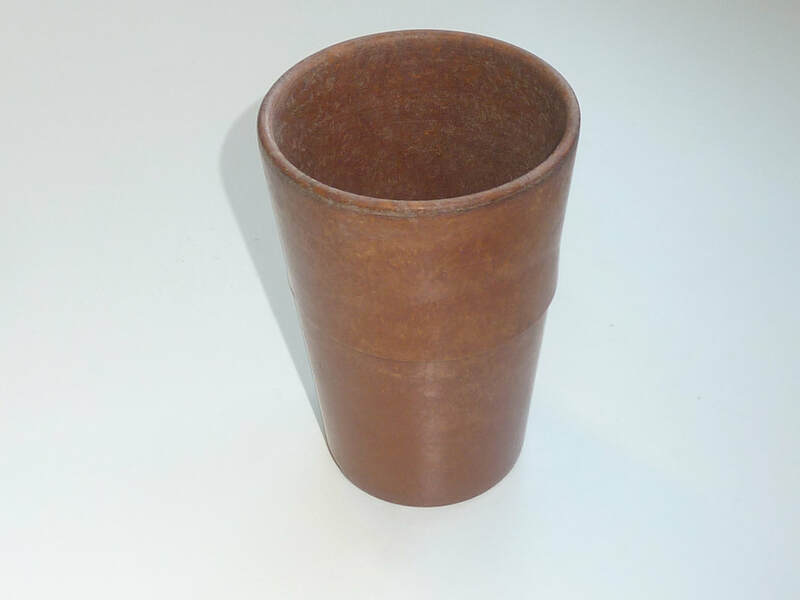 Approx 48cm tall, 40cm wide excluding the pockets. 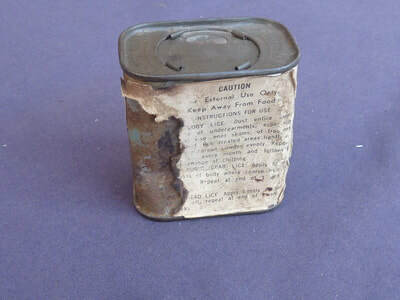 In good original condition - see photo. 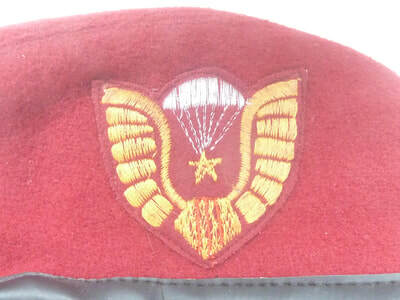 North Vietnam Army uniform. 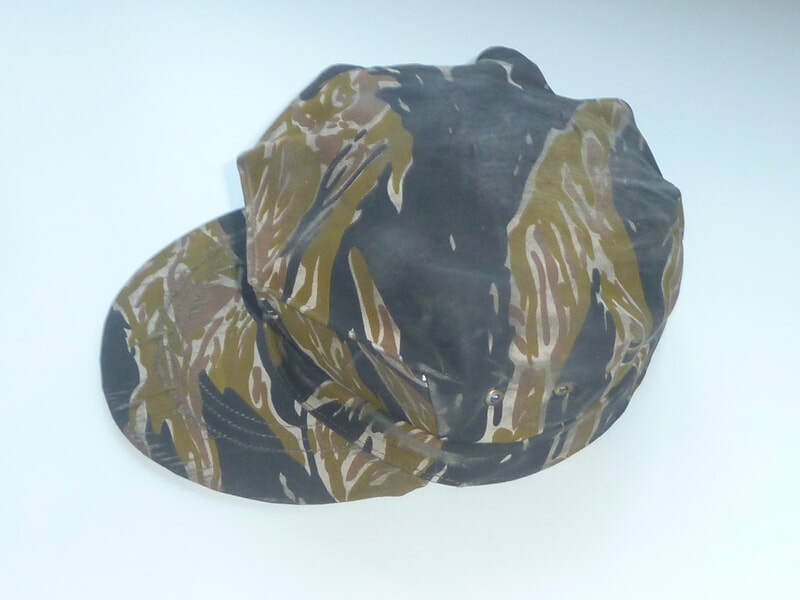 Jungle camouflaged used the North Vietnamese towards the end of the war 1975. 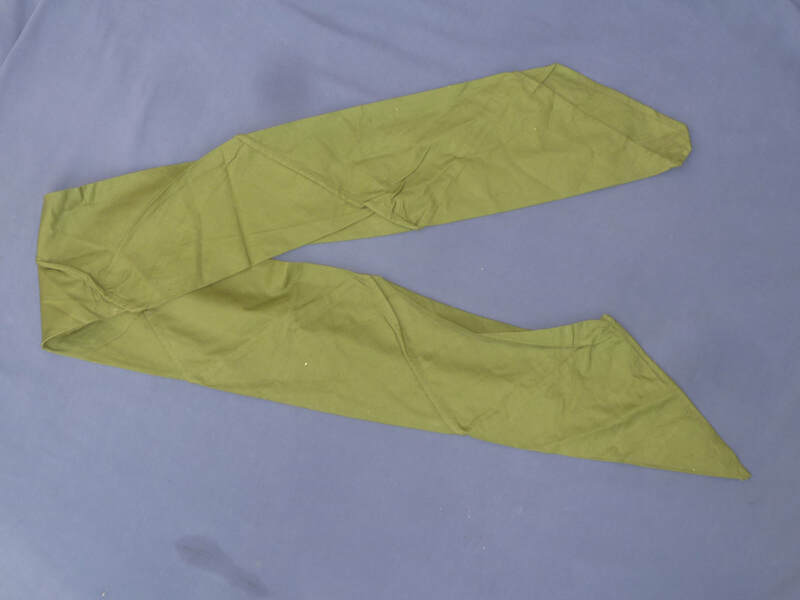 Trousers are a slightly lighter shade due to more frequent washing than the jacket. 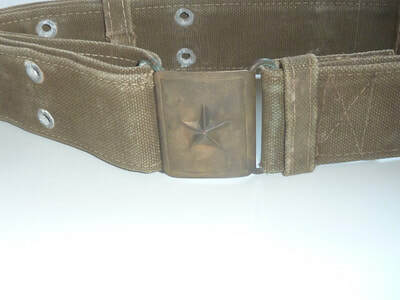 Rare North Vietnam Army, Vietnam war era medics satchell in good original condition, see photo. 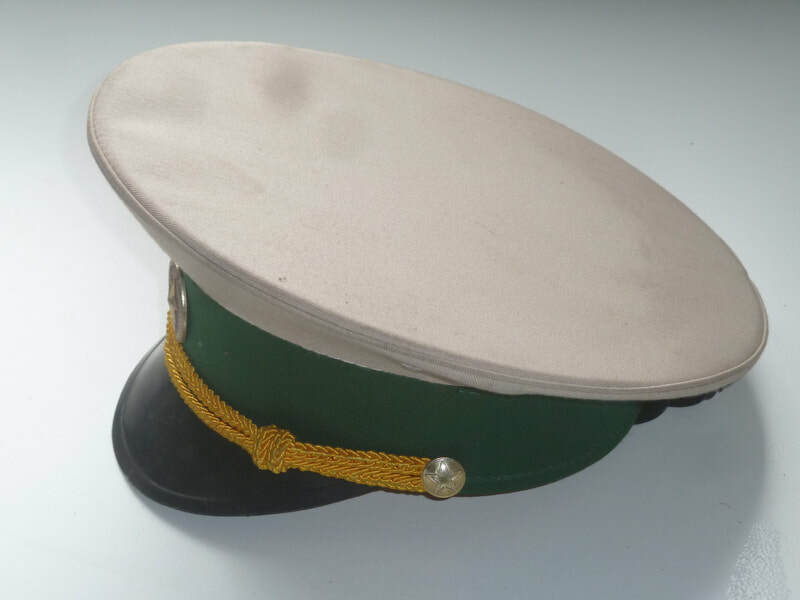 North Vietnam army Vietnam war era peaked cap, approx 17.5cm diameter, in good original condition. 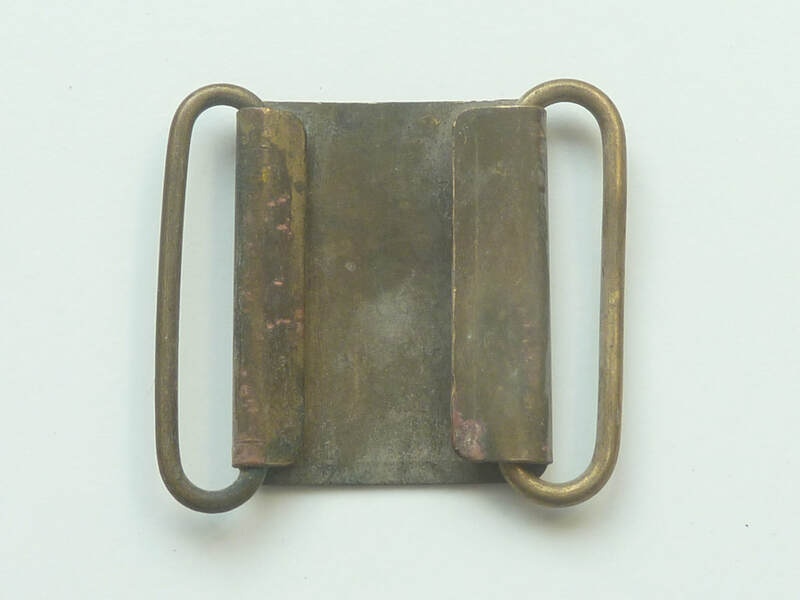 US Army earphone element, looted from Saigon at the end of the Vietnam war in 1975. 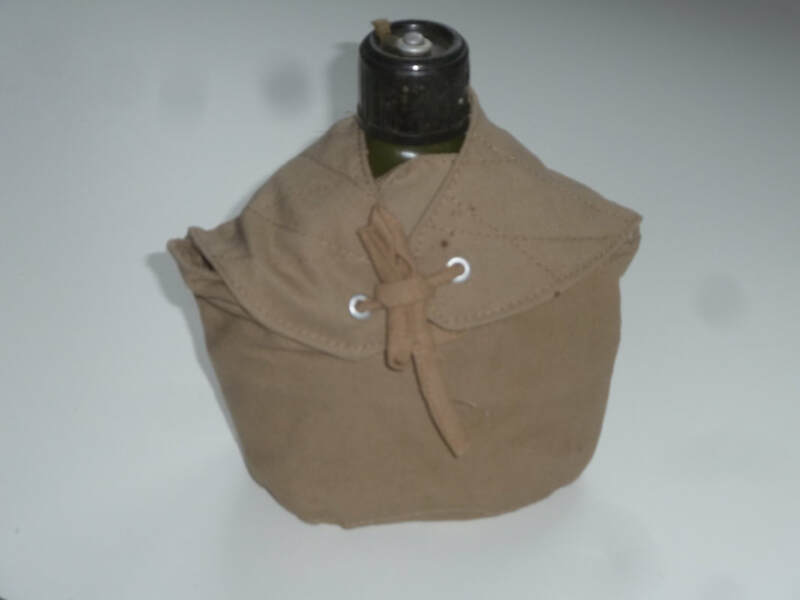 Sealed in packet unopened, date of manufacture in US May 1971. 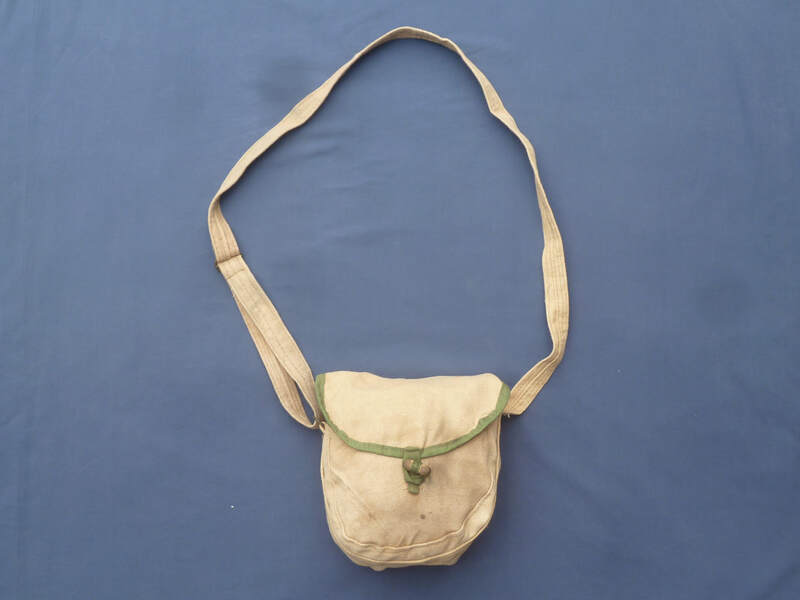 A dry season bag that would have been used for carrying an enamel rice bowl and tied to the outside of a rucksack, or off the back of the belt. Also used as a makeshift towel. 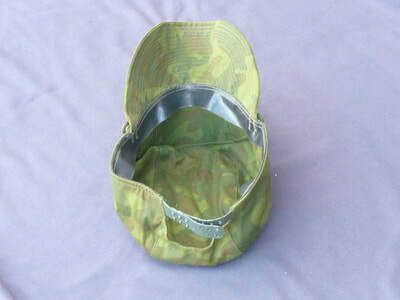 A larger size Viet Cong, Vietnam war era boonie hat, camouflaged with captured parachute fabric. US Army 1963 H.P.I. 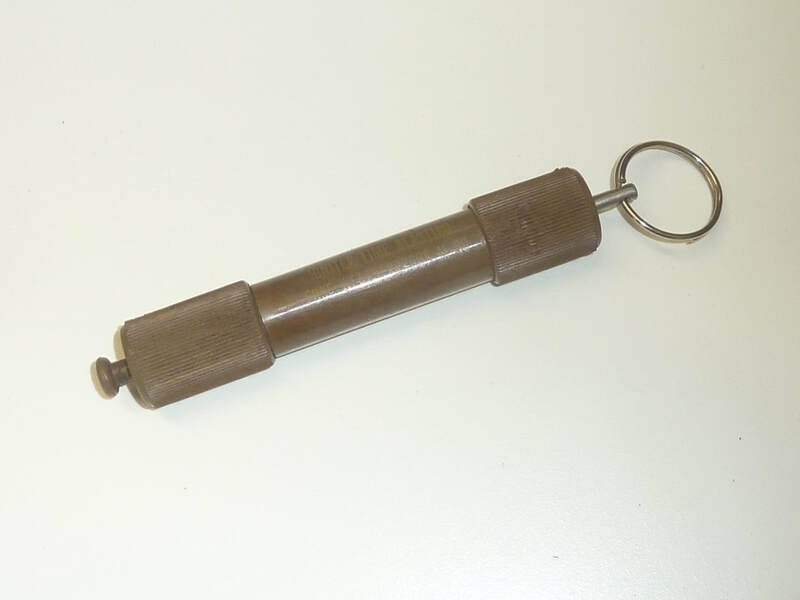 Vietnam war whistle, Saigon bring back. 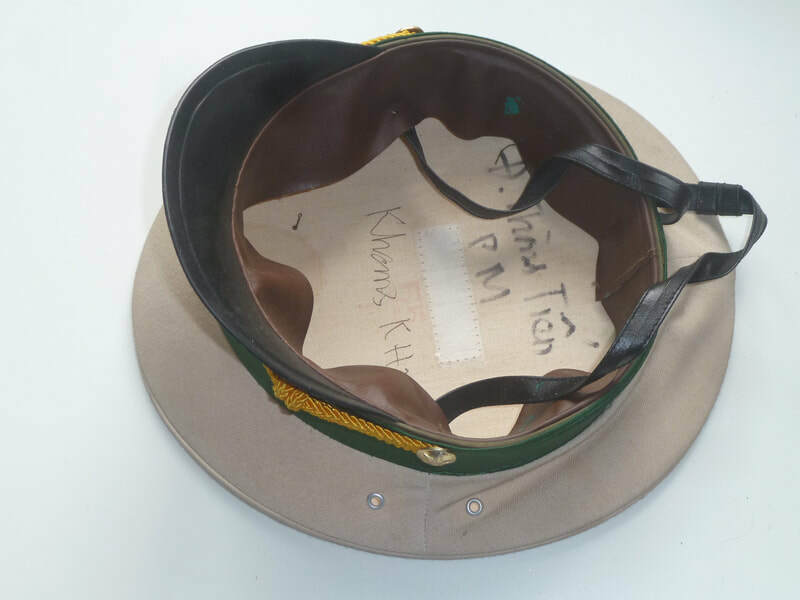 North Vietnam Army Vietnam war era officers peaked cap. Viet Cong, Vietnam war era sandals approx. 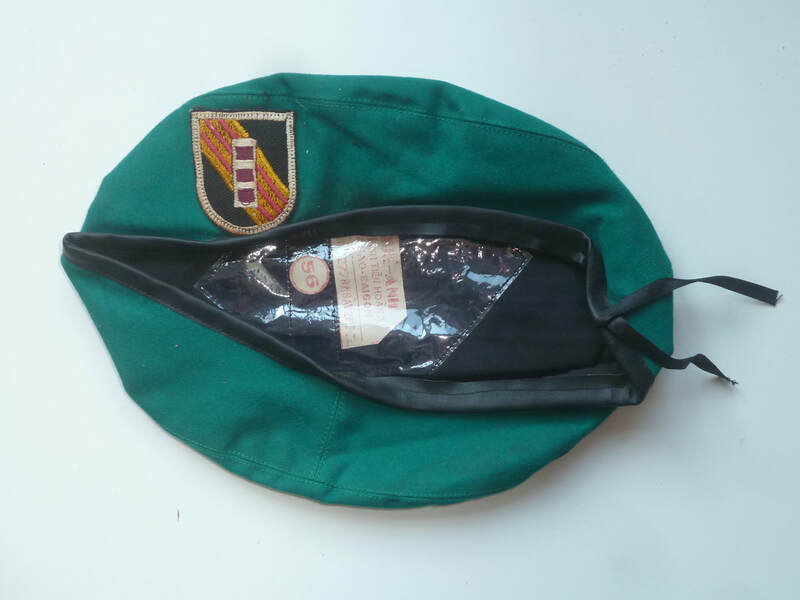 size 42 made from old car tyres by the ever resourceful Vietnamese..
Rare and difficult to find Viet Cong black pyjama type uniform, unusual uniform with the black hat for night time camouflage. 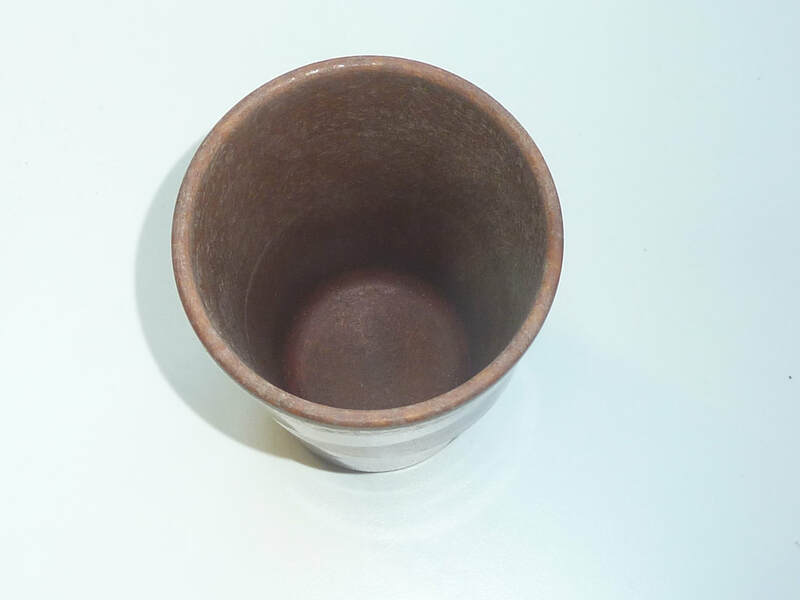 In good original condition, there is some staining but could probably be washed if required. Quite heavy hence postage prices, would fit up to approx 5ft 6" person. Viet Cong fighter, Vietnam war era cotton 114cm by 58cm scarf. 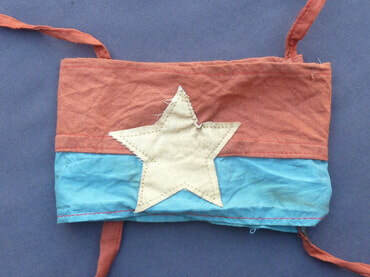 Famous scarf worn by the Viet Cong fighter during the Vietnam war. 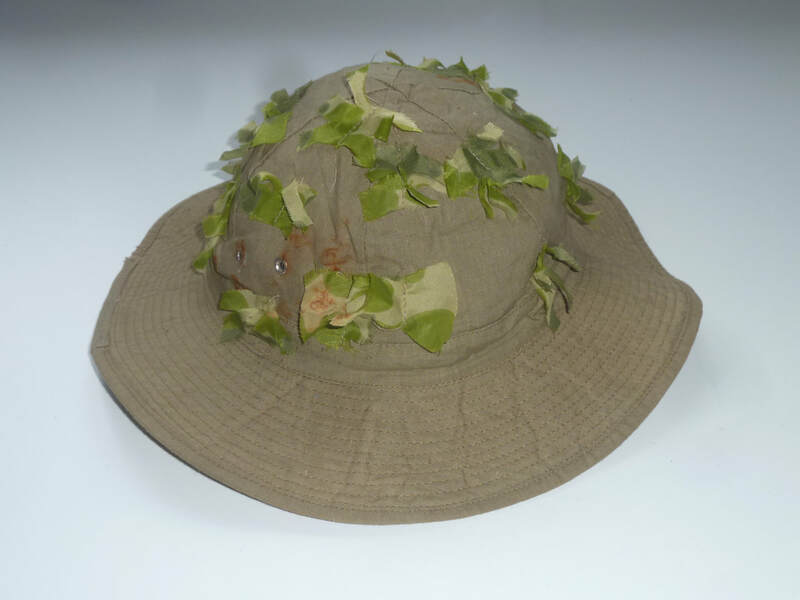 Rare and difficult to find Viet Cong all green uniform for camouflage during the wet season jungle combat complete with hat and scarf. 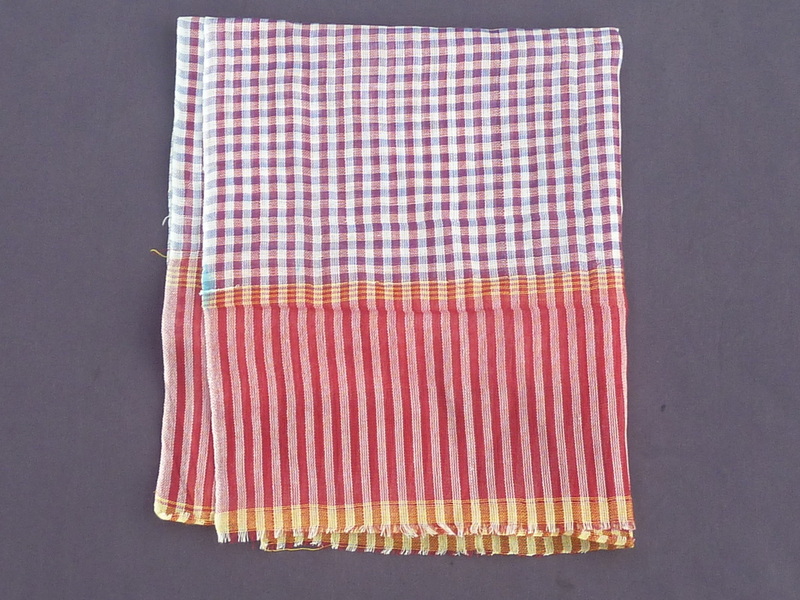 Difficult to find Vietnam war scarf with purple and white check. 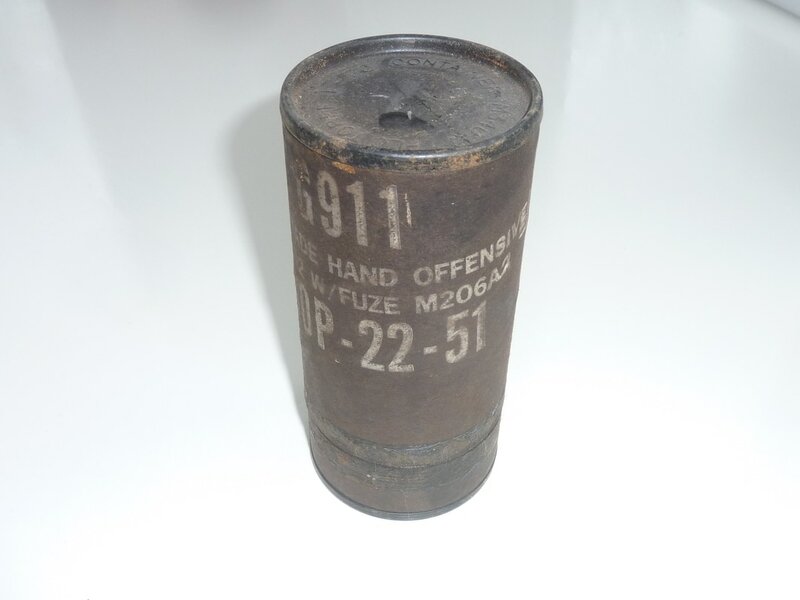 Used in famous Rung sat battle area and the forest of Assasin ine the Mekong Delta South of Saigon. 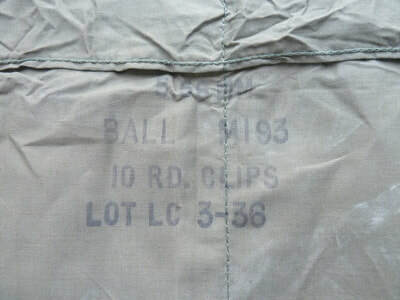 Added for identification to the ususal black pyjama uniform just before battle. 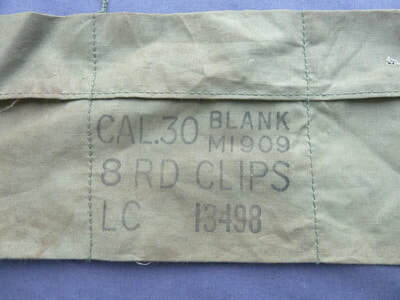 North Vietnam Army, Vietnam war era Chinese supplied bandages. 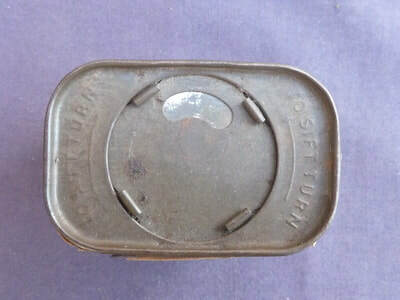 Dated 08-1974 in cloth packaging in good original condition unopened. 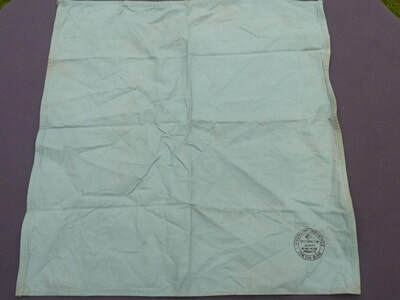 North Vietnam army January 1975 Chinese supplied bandage with brown paper wrapping to keep it sterile. Rare Viet cong Vietnam war era medics satchell in good original condition, see photo. 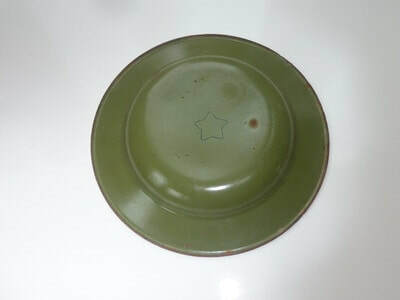 A 12cm diameter North Vietnam Army, Vietnam war era enamel metal rice bowl. 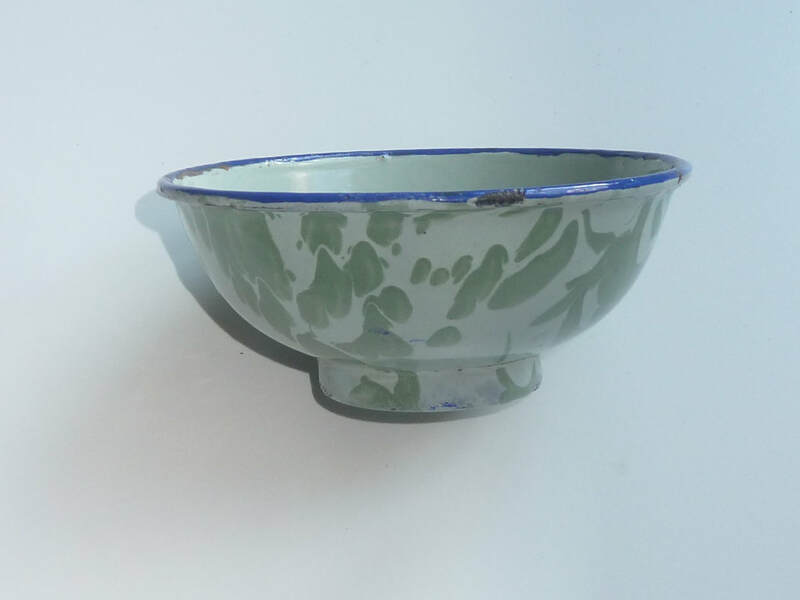 Hole in foot of bowl so rice bowl could be tied to outside of rucksack, Vietnam star to base. Rare North Vietnam Army, Vietnam war era belt. A canvas belt with aluminum rivets around, that were used for attaching ammo, supplies, water bottles, bandages to, etc..
Rare and difficult to find North Vietnam army, Vietnam war era 2 pocket uniform. 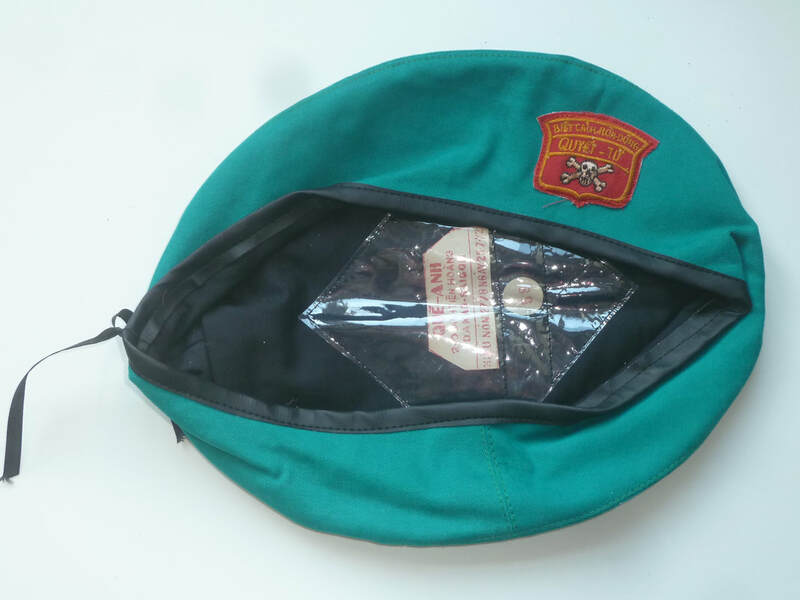 Used by both North Vietnam Army and Viet Cong forces for cover during the dry season when the paddy fields etc were brown. 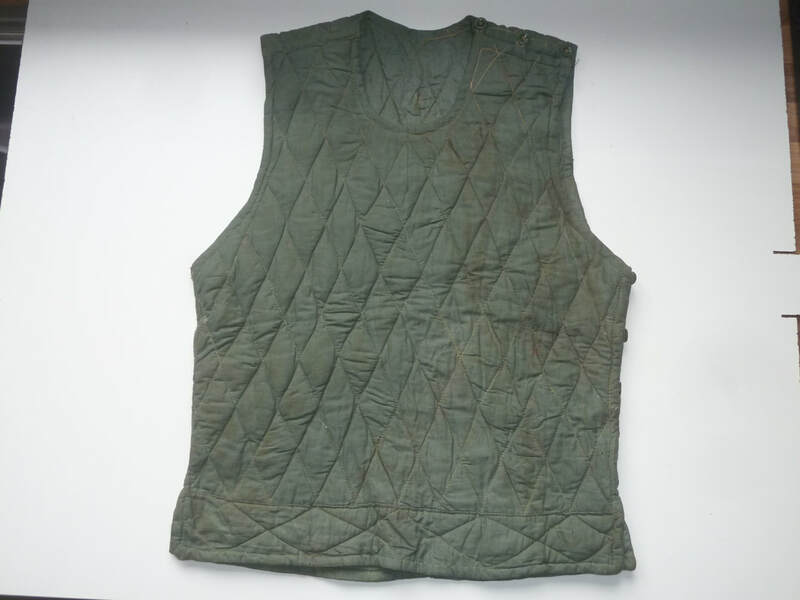 A quilted Vietnam war era body wamer used by the Viet Cong & NVA forces to keep fighters warm during cooler times of the year. Especially in central and Northern Vietnam. 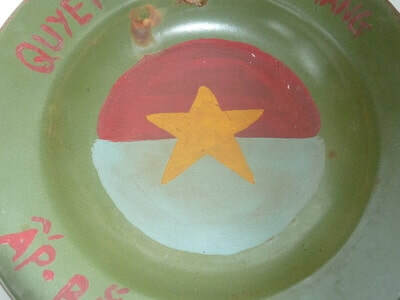 ​1967 Ap Bac, Vietnam war era enamel plate. 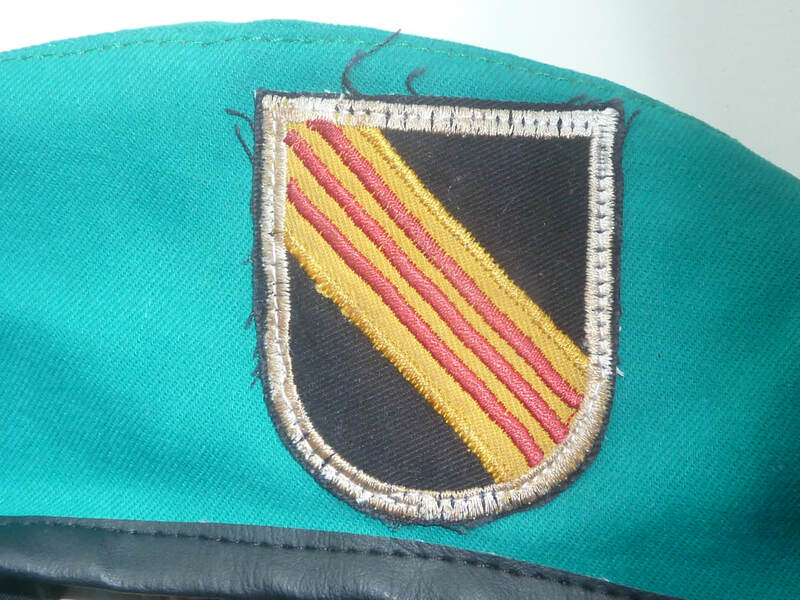 20cm diameter enamel plate decorated with hand painted flag. 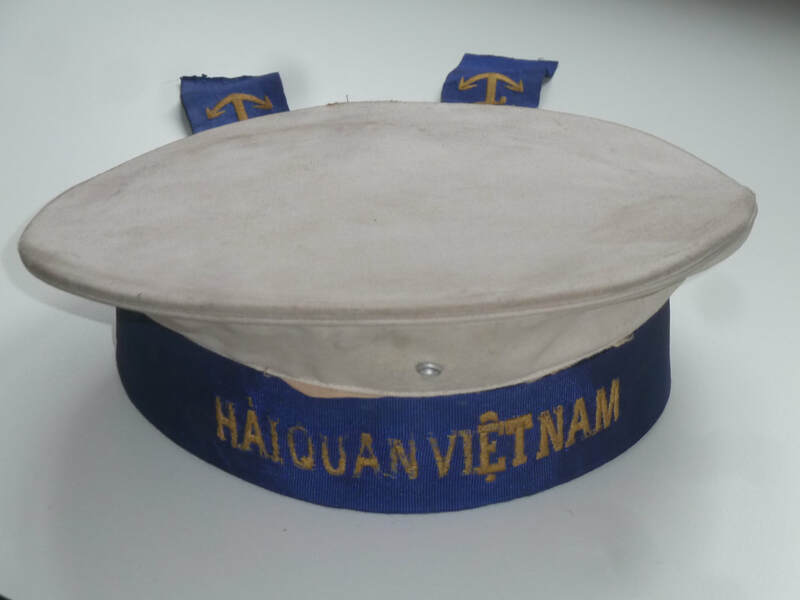 Top reads "Armed forces for Vietnam." Centre has Viet Cong flag, Bottom Ap Bac 1967." 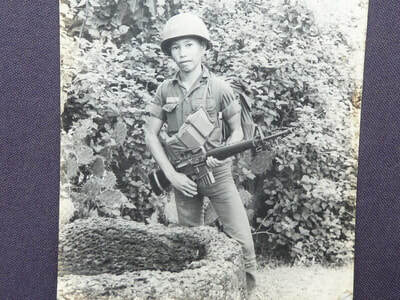 Ap Bac being in the South West of Vietnam close to the Cambodia border with the Viet Cong had a famous battle in 1963 destroying a lot of South Vietnam equipment and killing many before disappearing back over the border to Cambodia. 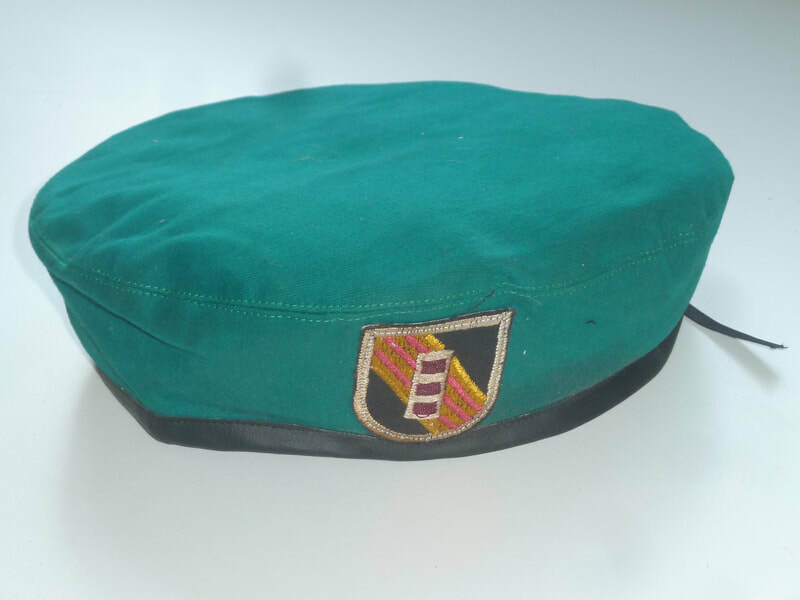 North Vietnam Army, Vietnam war camouflaged peaked cap. 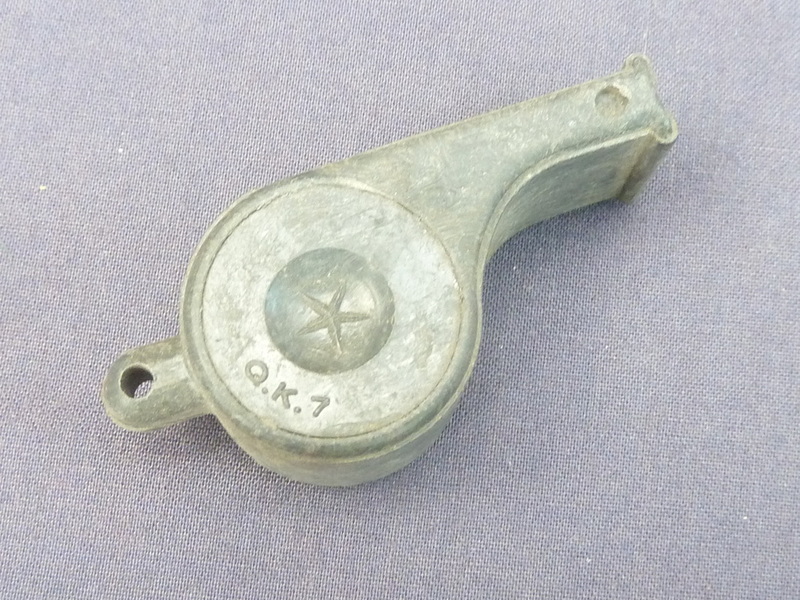 Used towards the end of the war in highland areas. 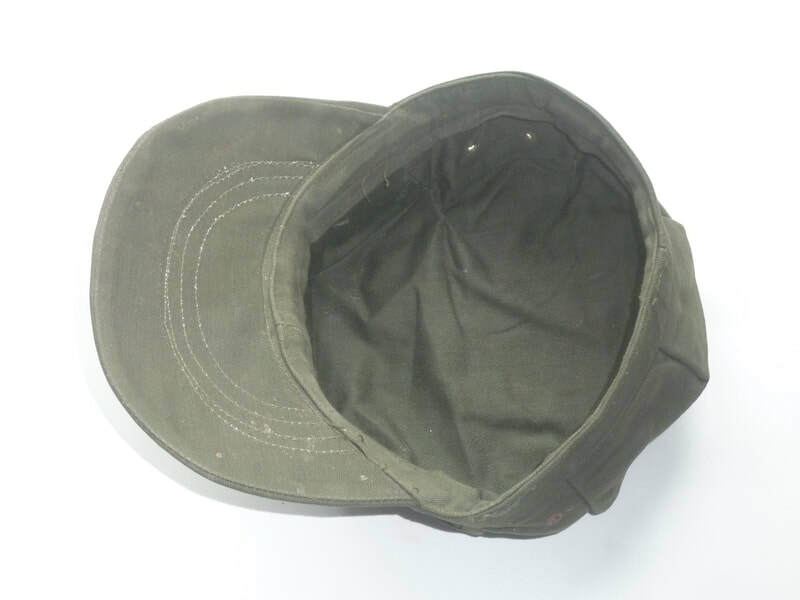 Slight dye/ink or berry juice on side of hat, see photos. 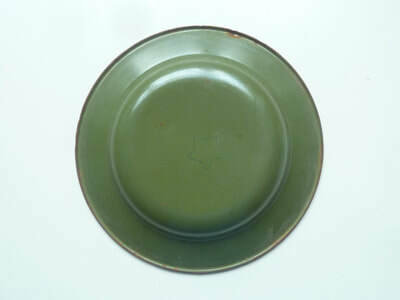 A 12cm diameter Viet Cong, Vietnam war era enamel metal rice bowl. 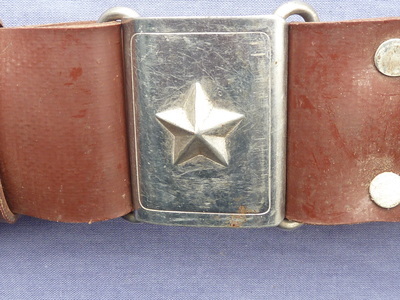 Comes in a dry season cover with gathered top and yellow star to base. 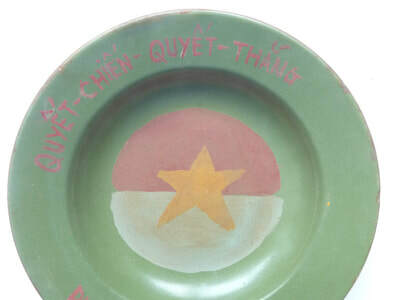 1967 Phu Bai Viet Cong, Vietnam war era 20cm diameter enamel plate decorated with hand painted flag. ​Phu Bai being just to the South of Hue City in central Vietnam where the US had an airfield and combat base which saw much fighting throughout the war. 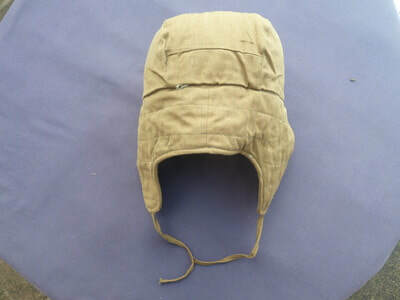 North Vietnam Army, Vietnam war cold season hat used in highland areas. 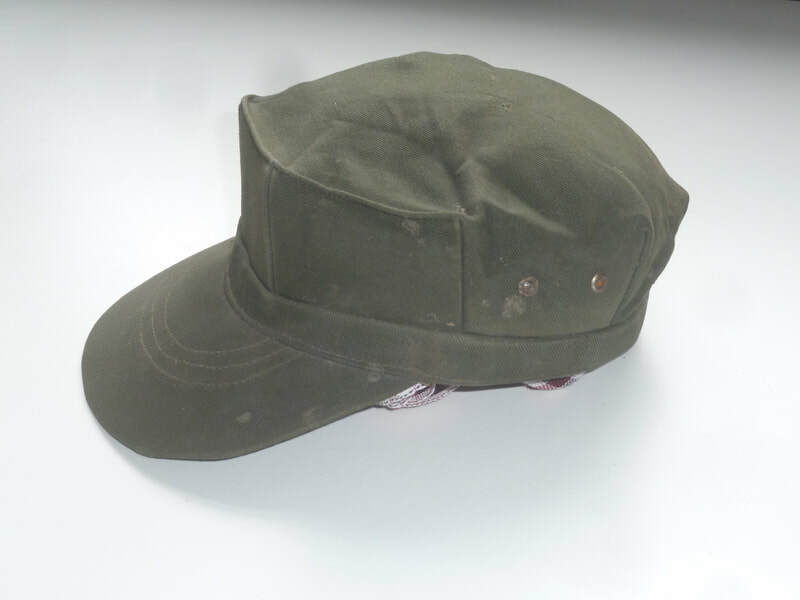 Can be worn with or without ear covers, red star type cap badge can also be fixed to front. 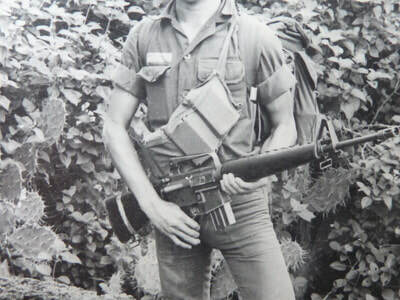 US Army footpwder a Saigon Vietnam bring back. 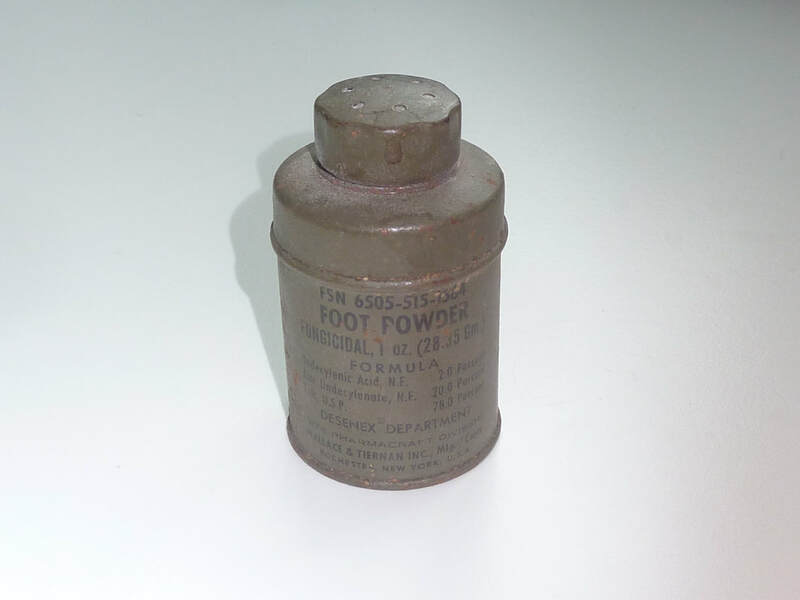 Used by US soldiers to combat foot rot, not a lot of use to the sandle wearing Vietnamese after the war. 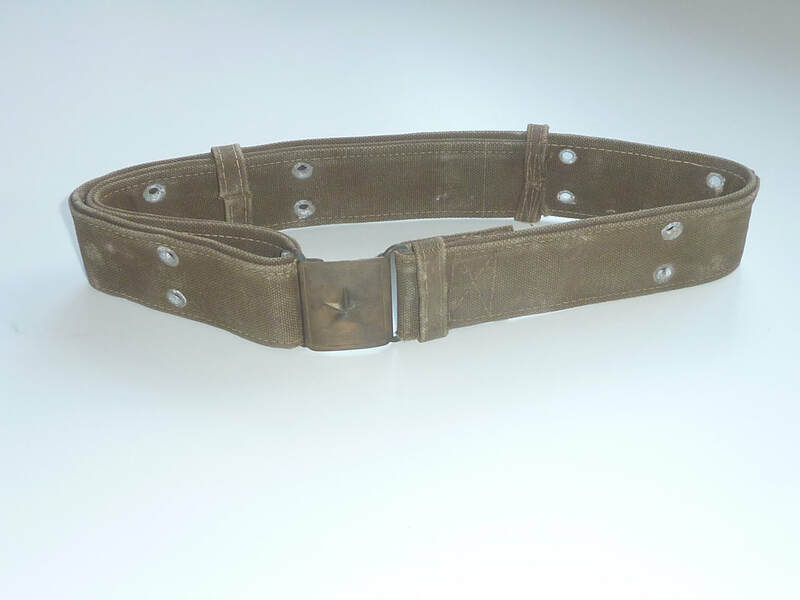 US Army Vietnam war 1973 ammo belt for 7, M193 10 round clips, Saigon bring back. 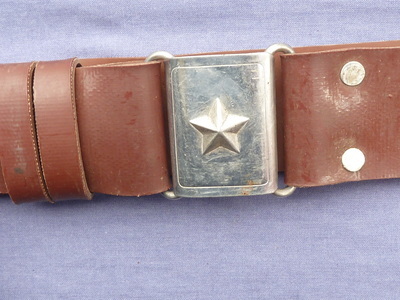 Photo shows ammo belt in use, PLEASE NOTE PHOTO IS NOT INCLUDED. 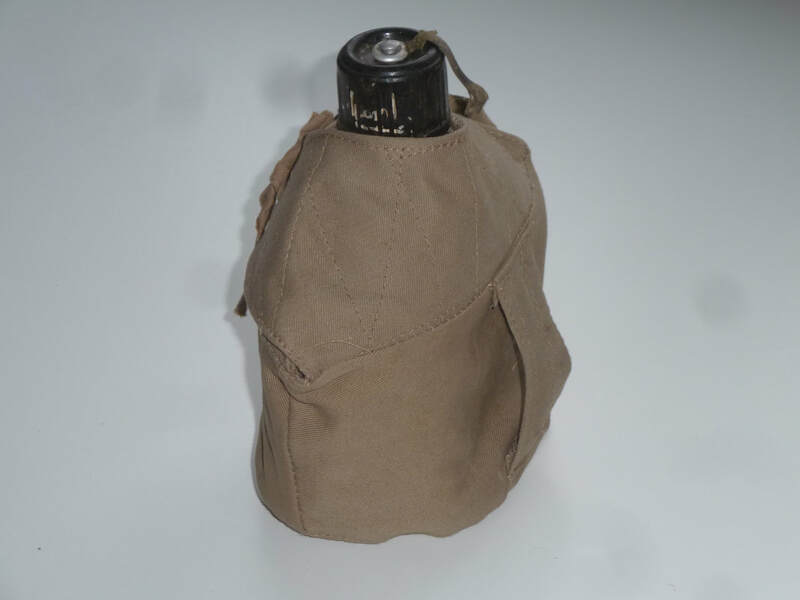 North Vietnam Army, Vietnam war shoulder strap type aluminium water bottle. In good original condition - see photos. 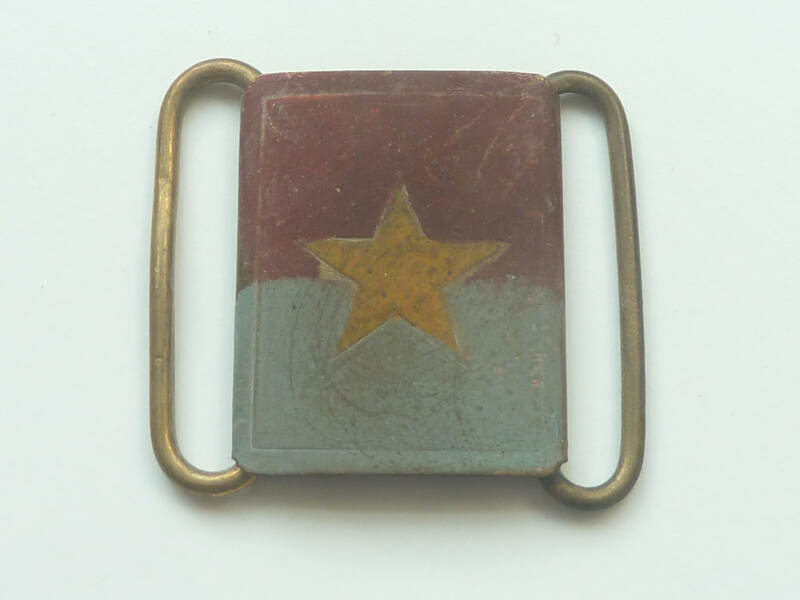 North Vietnam Army, Vietnam war medics armband. 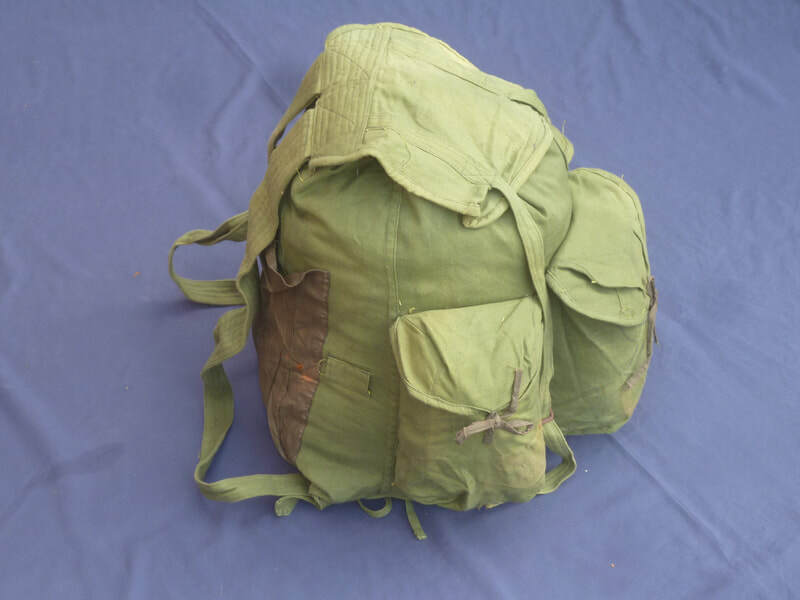 Viet Cong / North Vietnam Army Vietnam war dry season rucksack. 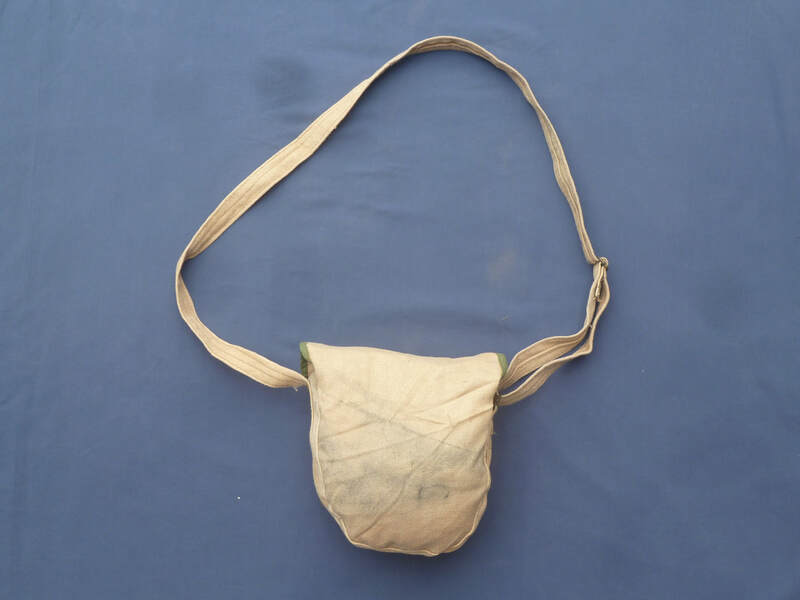 Used by both North Vietnam Army and Viet Cong forces for cover during the dry season when the paddy fields etc were brown. Large well made strong Viet Cong Vietnam war era heavy duty rucksack. 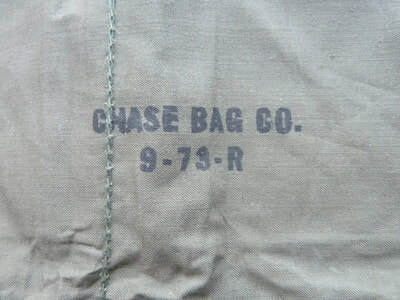 North Vietnam Army / Viet Cong Vietnam war era bullet bag. 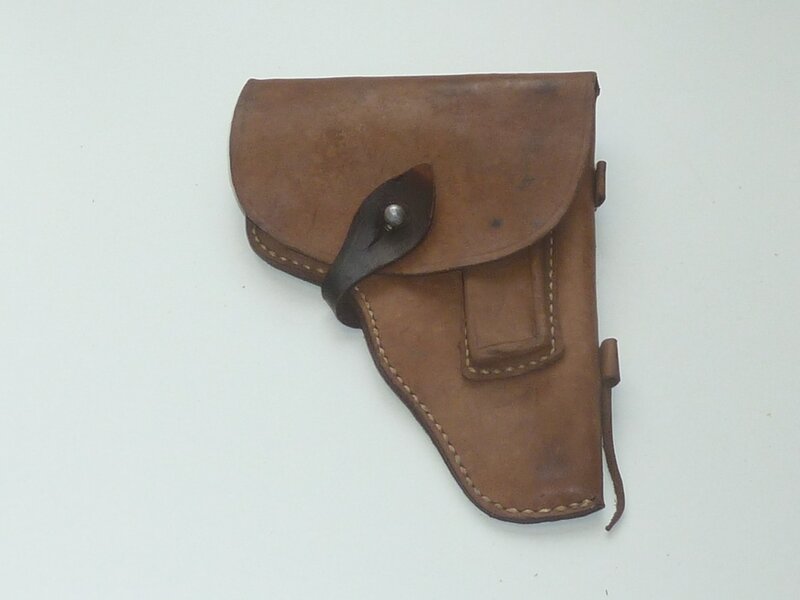 A 19cm square by 10cm deep bullet bag that would have been carried across the body shoulder to opposite waist. 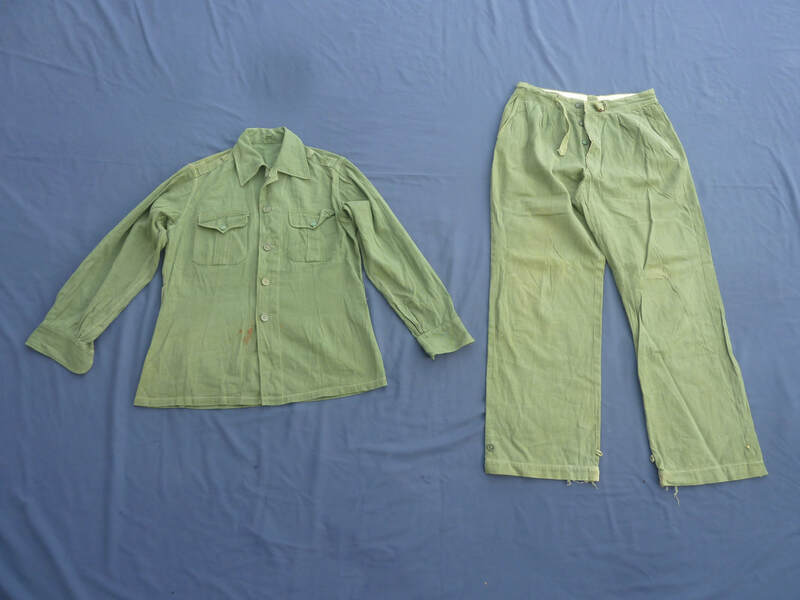 Shorts were used for crossing rivers and hot tasks like digging trenches, building fortifications, repairing bridges, railways etc. 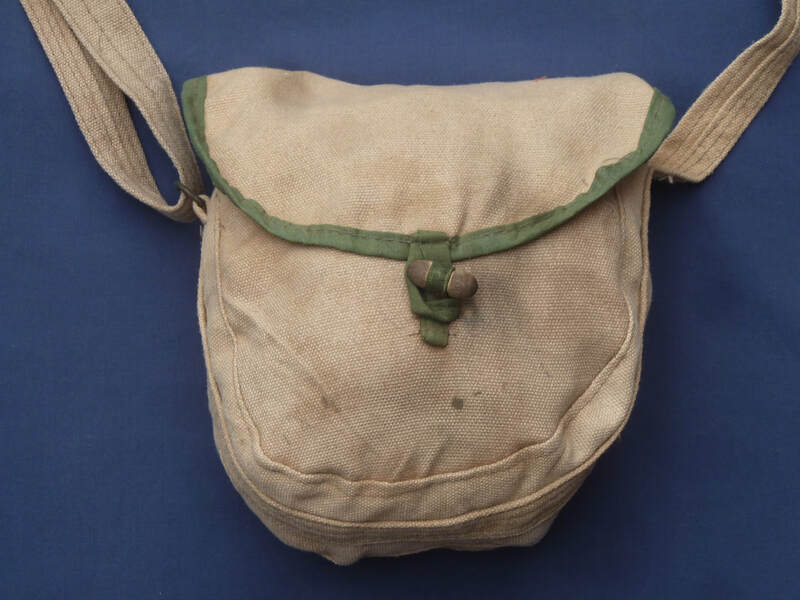 A 28cm by 22cm very difficult to find Viet Cong, Vietnam war era map and document carrying bag with pen and pencil storage to front. 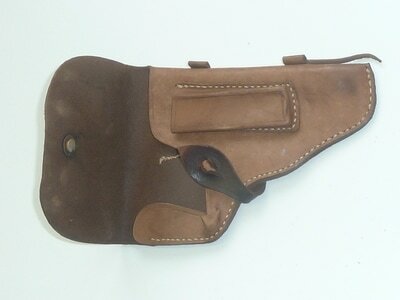 Could be used as a very interesting laptop / Ipad bag. 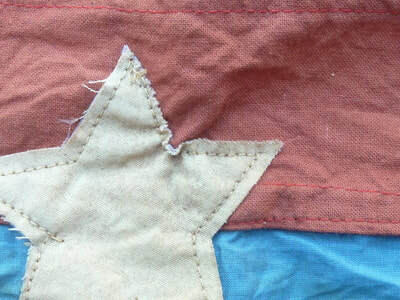 Comes complete with cotton cover with gathered top and yellow star to base. North Vietnam Airforce, Vietnam war era peaked cap. ​18cm diameter in good original condition - see photos. North Vietnam Army, Vietnam war leather gun holster. 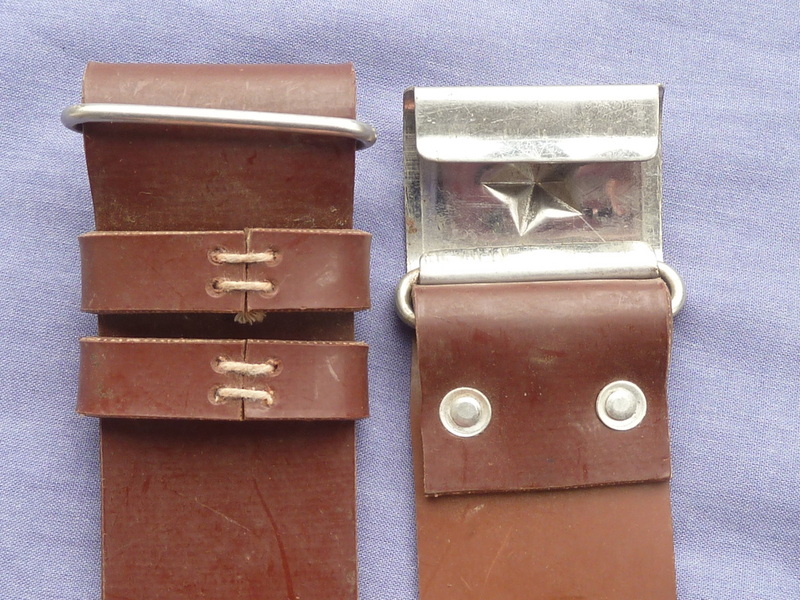 ​One of the belt holders has come undone, could easily be repaired by strengthening and gluing or sewing. South Vietnam Army, Vietnam war era peaked cap. 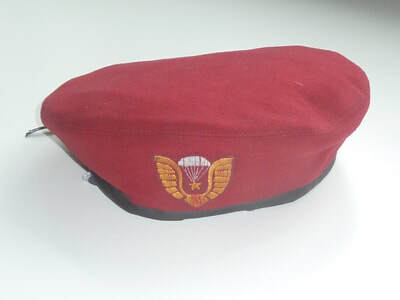 Quite small size as many Vietnamese soldiers were only 45 - 47kg. 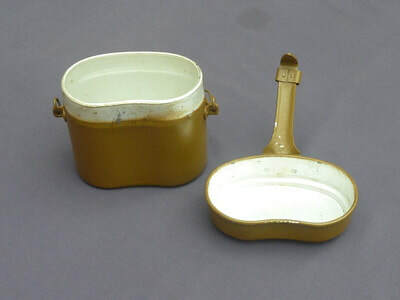 Viet Cong, Vietnam war era canteen, metal cup used by VC forces during the Vietnam war for eating rice and drinking green tea from. Shows heroic Viet Cong male and female fighters with AK47 and RPG in front of Viet Cong flag. ​Reverse text beat US aggressors with all out hearts. ​Picture to front showing liberating Viet Cong soldier with AK47 rifle and ammo vest in front of large Viet Cong flag with dove of peach. ​Reverse text "Beat US aggressors with all our heart." 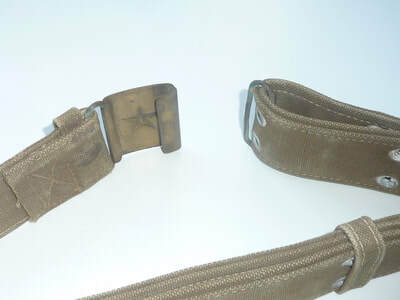 Viet Cong, Vietnam war era woman fighter sandals approx. 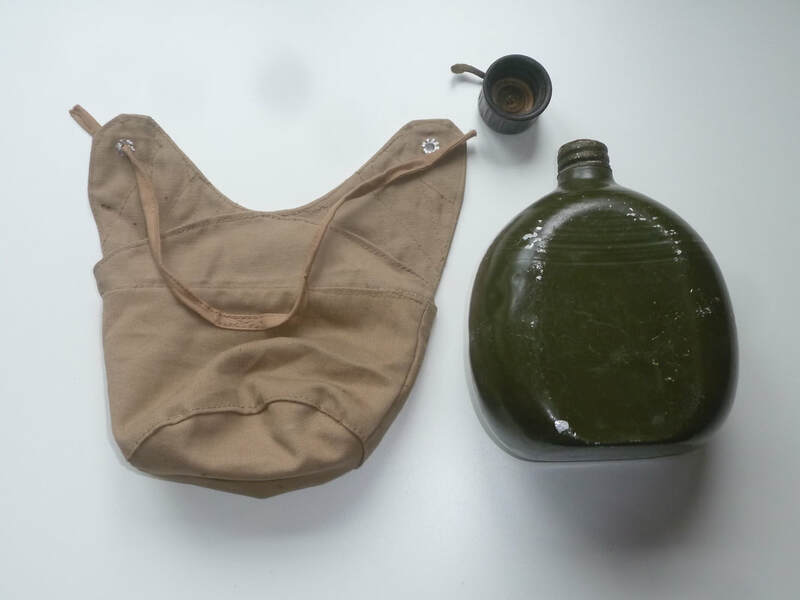 size 36 made from old car tyres by the ever resourceful Vietnamese..
North Vietnam Army, Vietnam war 2 section gun oil bottle. 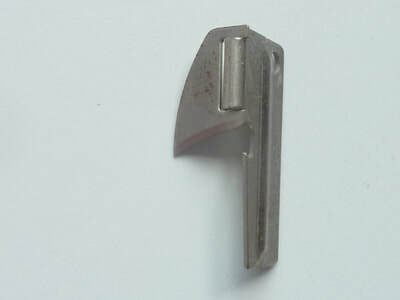 ​2 sections to keep in two difficult types of gun oil. 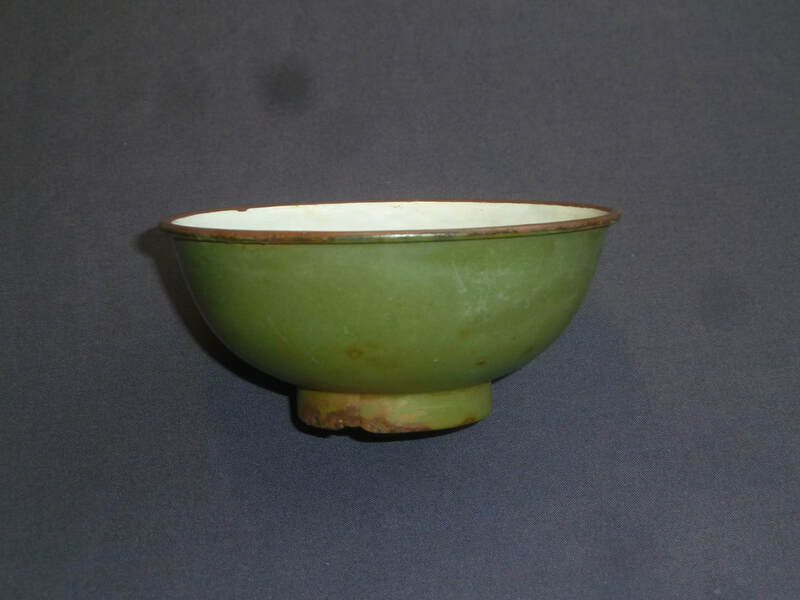 Difficult to find bowl used by US soldiers during the Vietnam war, Saigon bring back. 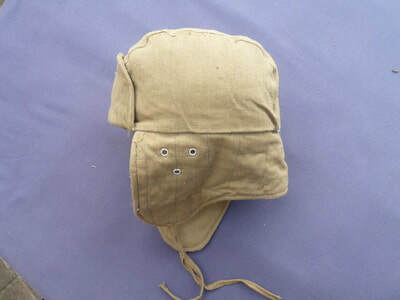 Pair of French army gloves used in French Indo China for moving hot artillery shells after a field gun had been fired. 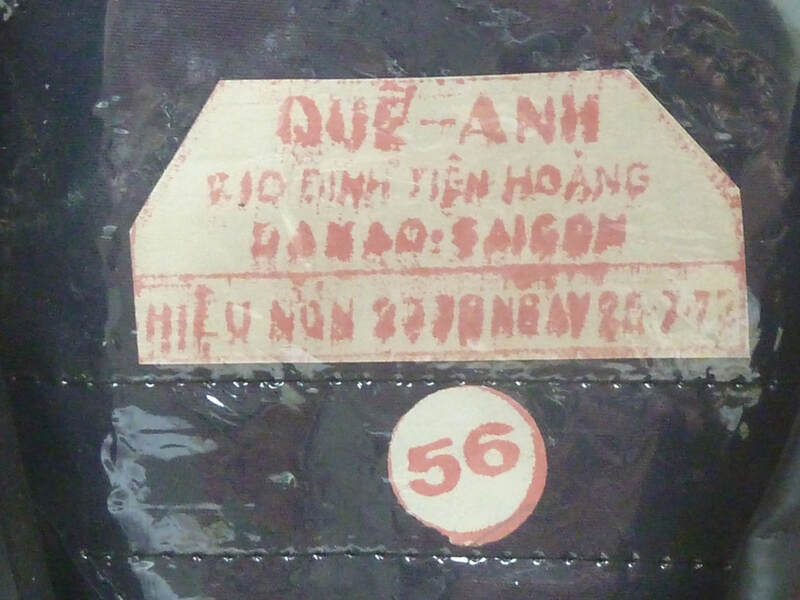 Vietnam bring back canvas gloves with leather heat protection pads. In good original condition as per photos. 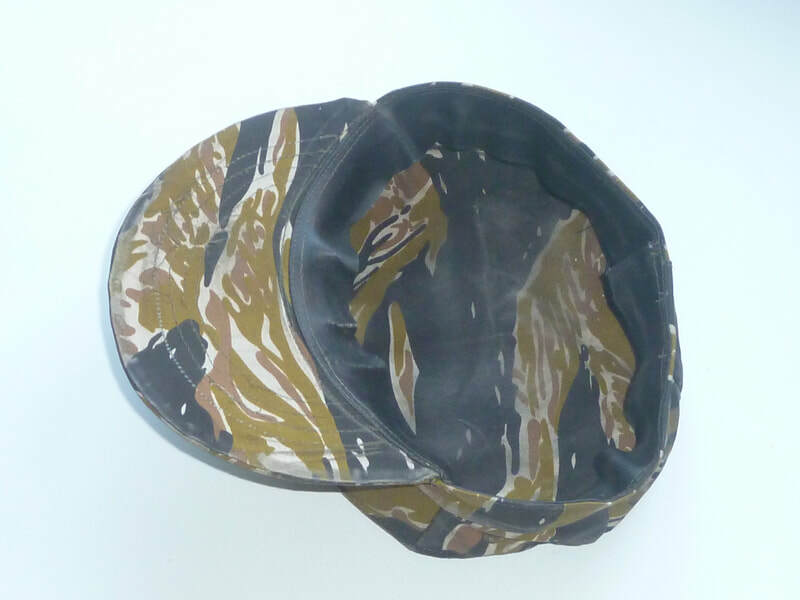 An enamel bowl with distinctive pattern used by North Vietnam soldiers during the Vietnam war on the North down to the South famous Ho Chi Minh supply trail running mainly through Laos to avoid detection by US & ARVN forces. 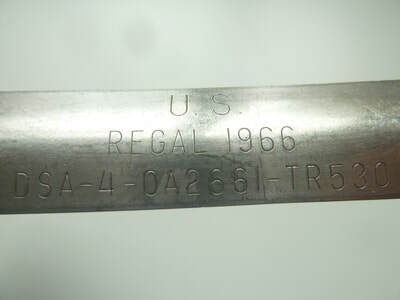 US army, Vietnam war era flare, Saigon bring back. Dated November 1971. Case has been emptied of all combustible material so not dangerous. 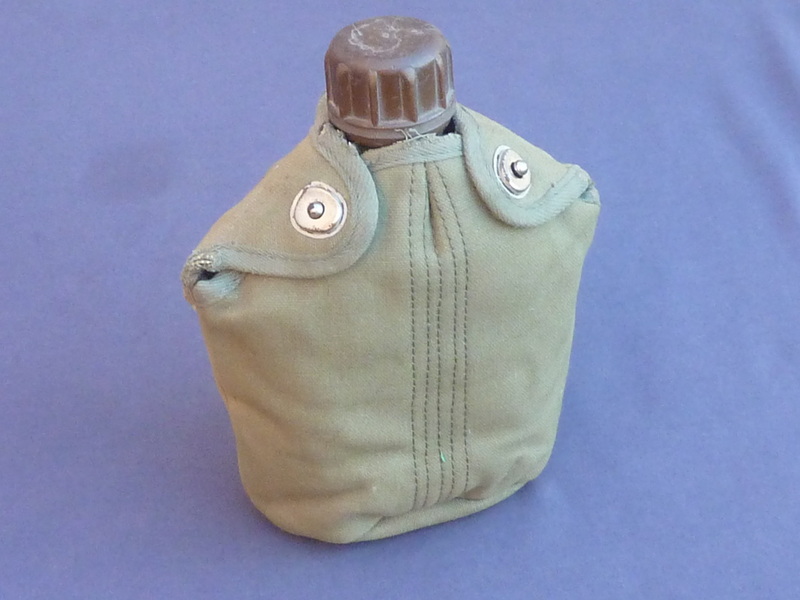 NVA, Vietnam war era aluminium belt mounted water bottle with dry season cover. ​Picture to front showing heroic male and female fighters with hand grenade, rocket propelled grenade and AK47 rifle in front of large Viet Cong flag.